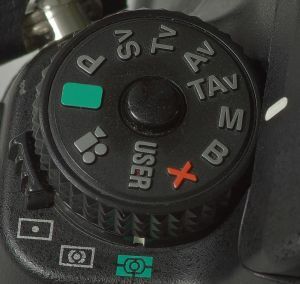 It's safe to say that the "M" for manual mode is one of the scariest options on the camera dial for someone with a new digital camera that has manual as an option. Although I no longer do weddings and have NEVER shot a wedding in digital, I shot weddings in the 80's (on film of course) with a completely manual camera with no meter and a manual flash. As the saying goes, "those were the days." OK, not necessarily, but it did help me learn a lot about light and photography. Manual mode is NOT always the best mode to shoot in. Although it's nice to get away from letting the camera make all the decisions for you, the "GREEN" (usually) or the "P" modes can be helpful at times. 1) It gives me control of the camera. I may actually have to think about what I am doing. However, MANUAL is not the best mode for run and gun when shooting outside. As a matter of fact, unless the light is stable and you are shooting in an area that is very controlled. MANUAL mode might be the worst mode to shoot in. 2) I love using manual indoors when I have control of the light like an on camera flash. For instance, setting the ISO at "X", setting the shutter at say 1/125 and setting the f-stop at say f/8. In this case, it's kind of a set it and forget which makes manual nice. I can easily look on the back of the camera to check for consistency. MANUAL is also good for studio strobes because the lighting is consistent. You can use manual mode both indoors and out for better control over the camera. Until you actually turn the dial to "M" and start testing, you'll never know what you could be missing by using manual mode. The #1 take away that I'd like you to get from this post is to TRY MANUAL mode and see what happens. The beauty of digital vs. film is that you can immediately see the results.